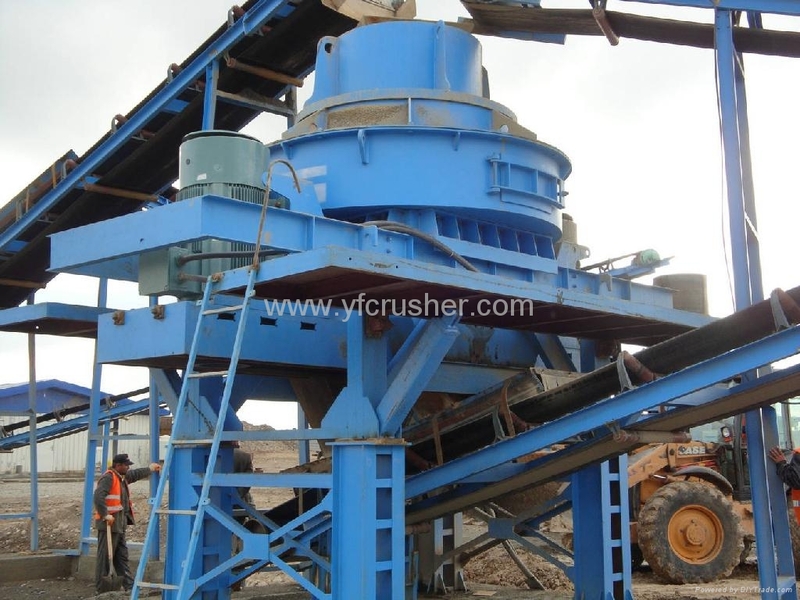 Series Vertical Shaft Impact Crusher is also called Sand Maker, which is high-functioned equipment for making sand and shaping, is researched and produced by our corporation, absorbed with the advanced technology from Germany, and owned advanced world standards. This equipment has two types: rock-on-rock and rock-on-iron. Sand yield of “rock-on-iron” type is higher by 10-20% than that of “rock-on-rock” type. 4. It is little affected by the moisture content of materials, and the content can get up to about 8%. 5. 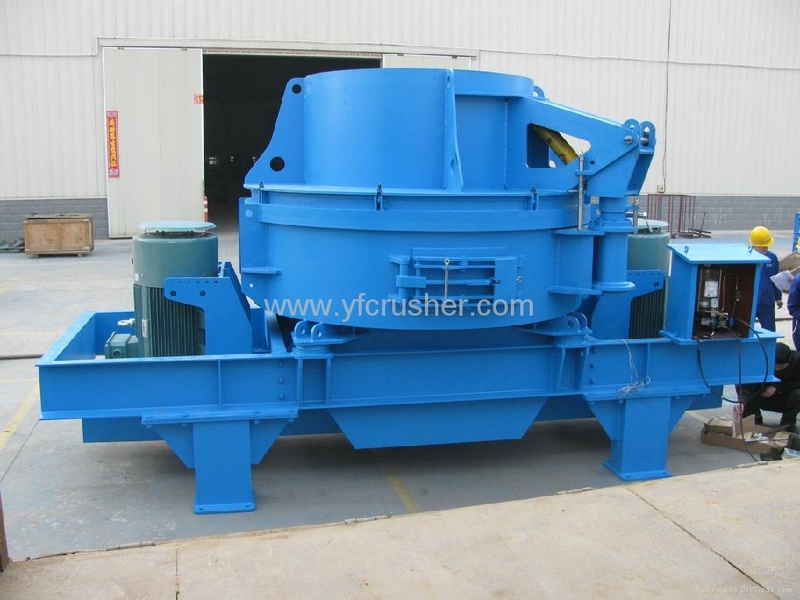 It is suitable to crush medium hard and ultra-hard materials. 6. Working noise is lower than 75 decibel, less dust pollution.